Whether reading Stephen L. Carter’s THE EMPEROR OF OCEAN PARK and the novels that follow that genre to his historical novel, THE IMPEACHMENT OF ABRAHAM LINCOLN I have always felt very satisfied and contented when completing one of his books. After reading his latest effort at altering American history by recreating a fictional account of the Cuban Missile Crisis in BACK CHANNEL, I did not complete my reading with the same feeling. To his credit Mr. Carter has complete command of the events that led up to the 1962 crisis, the diplomatic machinations between the Soviet Union and the United States, as well as the domestic pressure that was exerted within each government. In a useful afterword, Carter explains the differences between his version of events and those that actually occurred allowing the reader to compare the two, and hopefully emerge with an accurate accounting for what took place. The book is not even counter-factual history, it is more a fantasy that if you were not cognizant of actual events then you might fall into the trap and be engrossed with the plot. It was difficult to accept the story line that Carter creates at the outset those American intelligence officials would employ a nineteen year old, black college student at Cornell University as a companion for chess champion Bobby Fischer at a competition in Varna, Bulgaria. It seems at a previous match the Soviet champion had told Fischer that in Varna he would provide further information about Soviet intentions in Cuba. From this point on the college student, Margo Jensen is involved in a whirlwind of espionage that will lead her to become the back channel conduit between Alexandr Fomin, a KGB Colonel, representing Soviet Premier Nikita Khrushchev, and President John F. Kennedy. For those familiar with actual events you will remember there was a back channel during the crisis as Mr. Fomin met with ABC News reporter John Scali. The substitution of Miss Jensen for Scali and the narrative that the author creates does not create a gripping tale for this reader. Jensen meets a number of interesting characters in her journey ranging from State Department intelligence types, CIA agents, KGB Counter Intelligence officers, along with important historical figures like McGeorge Bundy, Kennedy’s National Security advisor and others. We witness Jensen’s growth from an untrained college student in the art of espionage to one who will amaze those who have to deal with her. The plot thickens as the missiles are discovered and the Soviet Union and the United States are brought to the brink of war. On the Soviet side we meet Viktor Borisovich Vaganian, a KGB Captain in Counter Intelligence who is trying to discover who on the Soviet side leaked the information identifying what Moscow hoped to accomplish in Cuba. His ally is a rogue American who is working for a domestic group that believes that Kennedy does not have the back bone to deal with the Russians. 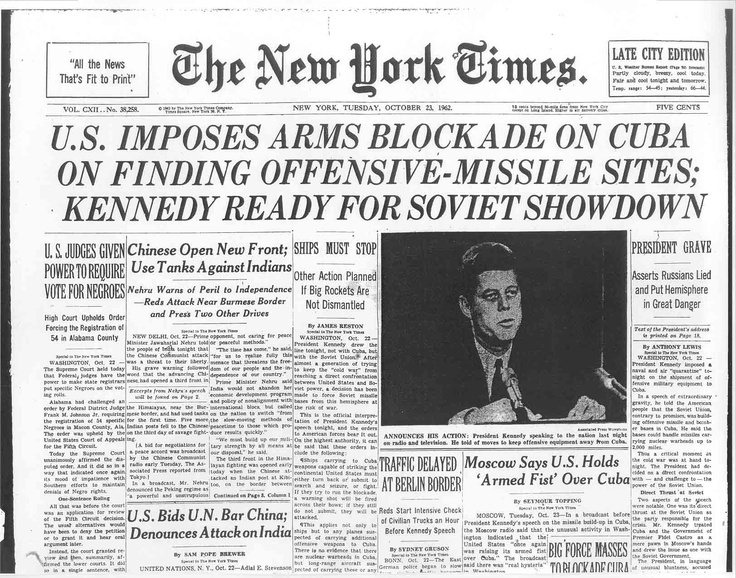 As the book evolves the Cuban Missile Crisis is recounted with a number of historical details that are missing, rearranged, or created anew as it becomes clear that there is a war party in the United States who want to use the crisis as a vehicle to destroy the Soviet Union while the United States held the military advantage. 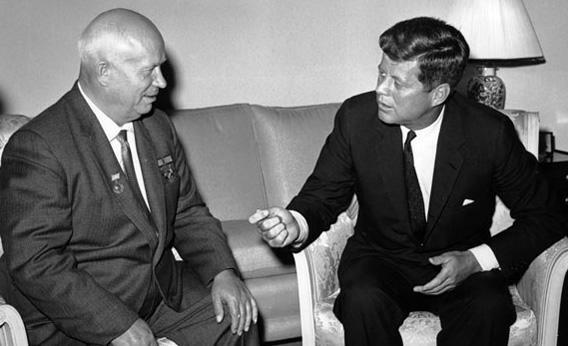 In the Soviet Union, Khrushchev must deal with his own war party who favors striking during the crisis because they believe that if the opportunity is allowed to pass they will have lost any hope of defeating the United States whose technological future was much brighter than Moscow. Each war party tries to undo the back channel that involves Jensen, putting herself and those involved with her in repeated danger. To Carter’s credit we are taken inside the Ex Comm national security meetings in Washington and the viewpoints of the participant run fairly close to what actually occurred. The rendering of Generals Maxwell Taylor and Curtis Le May seems to hit the spot as are the views of Robert Kennedy, McGeorge Bundy, Robert McNamara and others. Once the crisis is settled Carter presents two scenes that ring very true for the future. In a conversation between Bundy and Kennedy, the president now satisfied the crisis is over turns his attention to what should be done about Vietnam as the administration begins to gear up for the 1964 election. Secondly we witness a conversation between a CIA type, who Carter describes as a “traveling salesman of the clandestine world,” and Jensen, who is afraid what Kennedy’s domestic enemies might do in the future, the intelligence agent states that, “Still, if I were president, I suppose I’d watch my back.” A strong reference to future conspiracy theories involving those who felt Kennedy was soft on Cuba leading to his assassination in 1963. There are other moments in the narrative that move away from the crisis and involve Jensen’s family, particularly her father who was killed during World War II. She learns that he was a hero and was blown up in order to avoid being captured by the Nazis as he ran agents during the war, and did not die, as she was previously led to believe in a motor vehicle accident. The issue of course was that he was black, and the intelligence community did not employ such people during the war. Because of this slight, Carter presents Jensen as the daughter who carries on her father’s work and her tenaciousness and character stem from his DNA. We also meet other characters from Carter’s previous novels, i.e. ; her grandmother, Claudia Jensen, Major Madison, Jack Ziegler, Vera Madison, and Agent Stilwell among others. They are all integrated seamlessly and fit into the story line nicely. The story began in a Conflict Theory class at Cornell taught by a former/current spy named Lorenz Nieymeyer and his prize student Margo Jensen. Their relationship formed a secondary plot that is evident throughout the narrative as Margo is confronted with an adventure she never could have expected. In an area of the book’s strength, Carter allows their personal and intellectual relationship to evolve and he closes his story by having the two meet, this time Miss Jensen holds the moral and intellectual high ground, and because of her ordeal she held her former professor in much lower esteem. Had Carter written a novel centering more about their relationship with the Cuban Missile Crisis in the back ground it might have made for a stronger narrative and a more believable one? During the summer of 1973, while in graduate school, I found myself transfixed by the Watergate hearings that were broadcast live each day. For me it became almost a soap opera with the revelations of Nixon administration misdeeds. 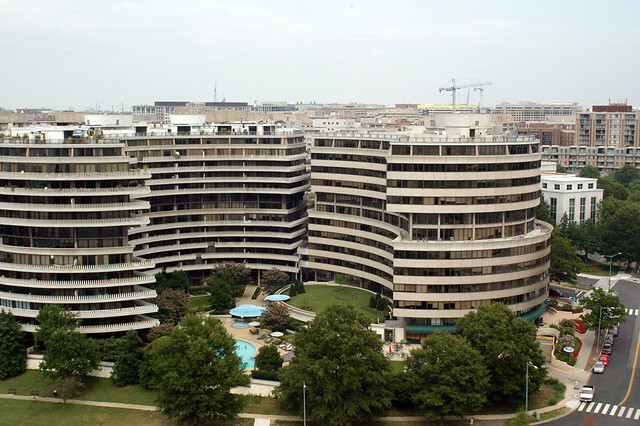 Once Nixon resigned, the battle for the Watergate tapes continued. 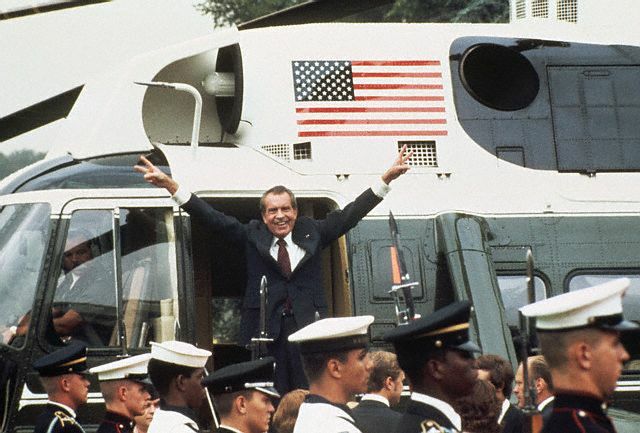 After the 37th president passed away, the federal government gradually released more of the Nixon tapes resulting in a thorough record of what went on in the Nixon White House between February 16, 1971 and July 12, 1973 when over 3432 hours of tapes were produced. What we learned before Ken Hughes new book CHASING SHADOWS: THE NIXON TAPES, THE CHENNAULT AFFAIR, AND THE ORIGINS OF WATERGATE was disconcerting enough for the American public, but now as Mr. Hughes, a journalist who is a researcher at the University of Virginia’s Miller Center Presidential Program, since 2000 culled these documents reaching the conclusion that is even more damning concerning Nixon’s abuse of power than the original tapes that were released in the 1970s. In October, 1969, Joseph McGuinnis wrote in his book, THE SELLING OF THE PRESIDENT 1968 about the “new” Nixon, and the “old Nixon.” According to Mr. McGinnis, the “new” Nixon was prepackaged as a candidate to avoid the “out bursts” and other political errors the former Vice-President had made in past elections that represented the “old” Nixon. What emerges from Hughes detailed study is the reemergence of the “old Nixon on steroids,” as his political paranoia, hatred for those who made him look bad, anti-Semitism, and general nastiness is invariably documented on each page. At the outset the author asks the question that after 40 years what we could possibly not have been exposed to concerning Watergate. Hughes concludes “that the origins of Watergate extend deeper than we previously knew to encompass a crime committed to elect Nixon in the first place.” (x) The first section of the book focuses on the Chennault Affair which by any standard was an act of treason against the American people. At the time rumors abounded in Washington after the election of 1968 that there were members of the Nixon campaign, and probably Nixon himself who interfered with the Vietnam peace negotiations then in progress in Paris. President Johnson wrestled with the idea of an unconditional bombing halt since March 31, 1968 when he announced he would not seek reelection. Negotiations in Paris focused on the details of such a bombing halt and the Nixon campaign feared an “October Surprise,”[i] a few days before the election that would allow Vice-President Hubert Humphrey to defeat Nixon, who had led by 18 points in the polls in September, 1968. According to Hughes, who produces records of conversations and other damning evidence describing meetings and phone calls between members of the Nixon campaign staff and Bui Diem, the South Vietnamese Ambassador to the United States, whereby they promised South Vietnam’s President, Nguyen Van Thieu a better deal if he would muck up the negotiations and wait until Nixon was President. During the week before the election North Vietnamese negotiators in Paris actually move slightly closer to the Johnson administration position on the bombing pause and it seemed as if a deal was at hand. Suddenly, Thieu informed Washington that there were aspects of the deal he could not support thus causing the deal to collapse. Hughes provides proof that the emissary between the Nixon campaign and the South Vietnamese government was Anna Chan Chennault, (the spouse of Lt. General Claire L. Chennault who during World War II was the American leader of a volunteer air group, the Flying Tigers that defended China against Japanese invaders) whose relationship with Nixon went back to the China Lobby of the late 1940s and 1950s when Republicans accused the Truman administration of losing China to the Communists, a charge that the then Congressman Nixon used to vault himself into the Senate in 1948. Hughes offers an almost daily description of the Paris peace talks with North Vietnam from right after Labor Day until the election. The reader will learn from the documentary evidence the details of Johnson’s conversations with candidates Humphrey and Nixon. What emerges is LBJ’s disappointment with the Democratic candidate who he feels is soft concerning a bombing halt and belief that despite Nixon’s duplicitous nature he would be a stronger president concerning Vietnam. Late in the campaign Johnson learned of Nixon campaign machinations concerning talks in Paris, but he held back releasing it which would have most likely thrown the election to Humphrey. 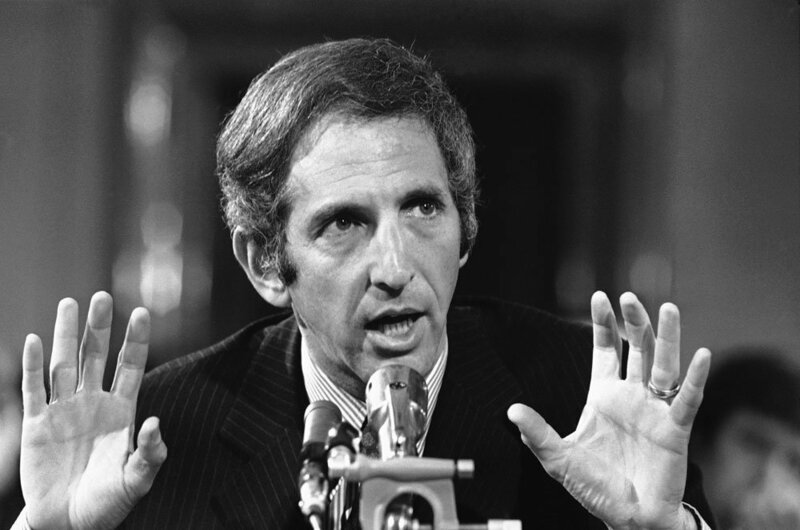 Johnson warned Nixon very subtly that he knew what was occurring and the Republican candidate feigned surprise and reaffirmed support for the president’s policies. Throughout the book, Hughes integrates verbatim transcripts to support his points, and there can be no doubt of Nixon and his staff’s culpability in treasonous activities. The question remains why didn’t LBJ expose the actions of the Nixon campaign. The answer probably rests with LBJ’s national security concerns, fear of weakening the presidency, and prolonging a war he desperately wanted to end to assure his historical legacy. Hughes develops his story that culminates in Watergate and includes some new documents concerning the break-in that had not been previously released. It really does not change the outcome or the course of history it just reaffirms Nixon’s acute paranoia and as Bruce Mazlish wrote before the 1968 election in his psychological analysis, IN SEARCH OF NIXON, that there was a personality flaw that existed and no matter what success Nixon might have achieved, his self-destructive mechanism would undo it. When Nixon resigned the presidency on August 8, 1974 and left the White House the next day, Mazlish’s prediction came true. [i] The title of a book by Gary Sick written after the election of Ronald Reagan accusing the Reagan campaign of interfering with negotiations to obtain the release of American hostages in Iran between the Carter administration and the Iranian government. The Reagan people were very concerned that Iran would agree to release the hostage’s right before the election, thus swinging the American electorate over to President Carter. [ii] In June, 1971 the secret Huston Plan was designed to expand government break-ins, wiretaps, and mail openings in the name of fighting domestic terror. One of the most controversial aspects of the Nazi Holocaust against the Jews during World War II is whether the United States could have been done more to rescue the eventual victims of this genocide. Historians have pointed to the lack of sympathy for the plight of Jews or the outright anti-Semitism in the State Department, the immigration quotas that existed going back to the 1924 legislation, and the political approach that the Roosevelt administration took towards the problem as it did not want to upset certain segments of the American electorate. While all of these road blocks to save European Jewry existed many did find a way to assist in saving Jewish lives and were able to maneuver and overcome the numerous obstacles that were placed in their path. Two individuals, Gilbert and Eleanor Kraus, whose story is told in Steven Pressman’s new book, 50 CHILDREN, took upon themselves the challenge of confronting Nazi persecution in Germany and Austria in 1939 and were able to succeed where others failed in obtaining fifty exit visas to allow fifty children to escape their plight and come to the United States in May, 1939. The book is based on the writings of Eleanor Kraus, interviews with those involved who are still alive, and a degree of historical research. 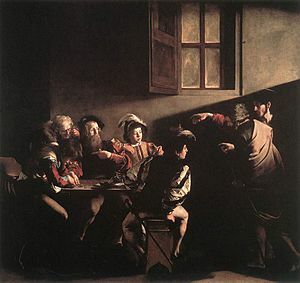 The story that is told is a remarkable one and should be praised as such. However, as a historical monograph, much could have been added. Since the book goes hand in hand with the excellent HBO documentary, 50 Children: The Rescue Mission of Mr. and Mrs. Kraus, which aired in April, 2013, it should be seen as an addendum to the program. The story itself is a sobering one. Pressman provides general details of events in Europe that affected their Jewish populations and integrates them into his narrative. The most important would be the union of Germany and Austria, or Anschluss that took place in March, 1938, and Krystallnacht, the night of the broken glass that occurred in November of the same year. These two events reflect that there was no future for European Jewry. The Nuremberg Blood Laws that existed in Germany since 1935 were now applicable to Austria and after the pogrom of November, 1938 took place Herman Goering fined the Jewish community 400 million marks for the damage the Nazi thugs were responsible for. Pressman’s description of these events are accurate, but he could have gone into greater detail and analysis in applying their repercussions as Gil Kraus developed and implemented his plan to save Jewish children. After a discussion with Louis Levine, the head of the national Jewish fraternal organization called Brith Sholom, Kraus, a successful Philadelphia lawyer developed his plan to rescue fifty Viennese Jewish children in response to the events of 1938. Pressman tells the story of how Kraus enlisted his wife Eleanor to take care of the massive bureaucratic paper work involved, and Robert Schless, a Philadelphia pediatrician, to accompany him to Vienna to carry out his plan. What stands out a part from the Nazi persecution of Jews was the obstacles that Kraus and his cohorts had to overcome. American immigration policy became the back bone of the opposition to allowing Jews to immigrate to the United States. That policy was enforced by the State Department, particularly by certain officials such as Breckinridge Long, an Assistant Secretary of State, who sent a secret internal memo to members of the Foreign Service “to put every obstacle in the way and to require additional evidence and to resort to various administrative devices, which would postpone and postpone and postpone the granting of visa.” (136) Long’s instructions were followed carefully as we see the obstacles that were placed in front of the Kraus’. From nitpicking affidavits, raising financial issues, outright lies and denials, many in the State Department did their best to make sure that the Kraus’ mission to Austria failed. If it were not for the cooperation of George Messersmith, another Assistant Secretary of State who had served in Berlin during Hitler’s rise to power, and Raymond Geist, a Foreign Service officer serving in Berlin during the Kraus’ visit in 1939, the Kraus mission would have failed. Pressman correctly points out that Messersmith and Geist, though sympathetic to the cause of saving the children covered themselves by manipulating documents to reflect their implementation of immigration policies. Pressman citations of his sources are rather scant in this section of the narrative. He seems to rely on one book, Henry Feingold’s THE POLITICS OF RESCUE, written in 1970 for much of his background information. I would have suggested to the author that he consult David Wyman’s THE ABANDONMENT OF THE JEWS, 1933-1939, Richard Breitman and Alan Lichtman’s FDR AND THE JEWS, and Erik Larson’s IN THE GARDEN OF BEASTS for a deeper and more recent understanding of State Department policy during that period. Pressman does a wonderful job describing how the children were chosen. The interviews that the Kraus’ conducted with the children and their families was heartwarming. The transcript of these conversations was important for the reader to witness to gain insights into what parents were going through by sending their children to a foreign country, not knowing if they would ever see them again. Another area that Pressman should be commended for was his discussion of the opposition from within the Jewish community for what the Kraus’ hoped to achieve. This subject touches a nerve as many historians have noted throughout the Holocaust that different factions within the American Jewish community worked at cross purposes to the detriment of the victims of Hitler’s death camps. Pressman also spends a great deal of time exploring the social and political climate in the United States during the Depression. He discusses the hostile environment as people feared an influx of Jews at a time when jobs were at a premium. He goes on to explore the depths of isolationist feeling that dated back to World War I, in addition to the undercurrent of anti-Semitism that scared American Jews who did not want to rock the boat by overtly supporting Jewish immigration. When the author sticks to the plight of the children and the plan to save them he is at his best. However, at times he strays from the story to bring in what appears to be a more human interest component. Constant references to Eleanor Kraus’ feelings, wardrobe, and vignettes about her experiences detract from the overall narrative as do other examples. 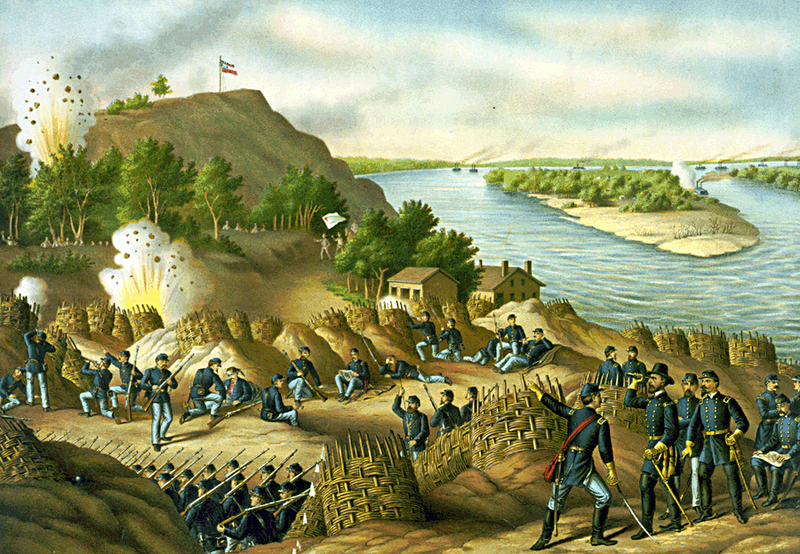 The historical narrative of the Kraus mission and the obstacles they overcame are more than enough to carry the story, anything that detracts from it should not have made their way into the book. Pressman concludes the narrative by tracing the lives of 37 out of the 50 children that were saved and what became of them and their families. Overall, the book is well written and presents an unimaginable and heroic adventure that saved many lives and told a story that needs to be retold over and over so we will not forget the lessons of the Holocaust. For the general audience the book will prove to be a quick and satisfactory read, but for those who would like more insight and documentation I think the book is somewhat lacking.